With Amino-Iron by Douglas Laboratories I have no constipation it works!! I have not experienced any stomach upset with Amino-Iron Douglas Laboratories unlike most other iron supplements. Great product. An alternative doctor started me on Amino Iron by Douglas Laboratories several years ago, as I tended toward slight anaemia. It has worked well, and doesn't cause any stomach upset or other problems. Every cell in your body requires an adequate supply of oxygen to function properly. Feelings of fatigue along with reduced immune functions could be a sign that oxygen is having trouble making it through the bloodstream. Unfortunately‚ this can result from iron deficiency. Iron works in two very crucial oxygen transport molecules. You’ve probably heard of them. Hemoglobin moves oxygen through our red blood cells while myoglobin does the same within our muscles. Both of these molecules are also responsible for regulating proper iron metabolism. This makes iron essential for energy metabolism and the body’s limited supply should always be kept at a healthy level. 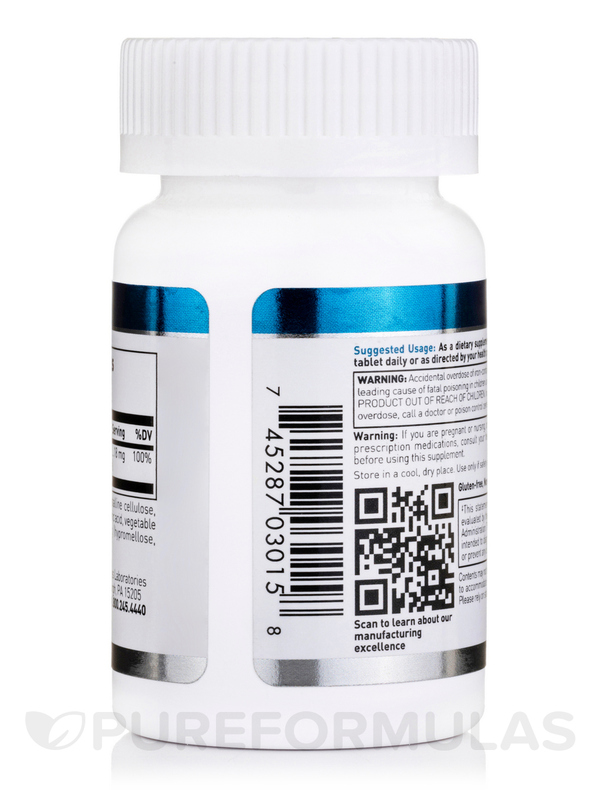 Douglas Labs’ Amino-Iron Tablets contain 18 mg of iron in each tablet‚ which is the recommended daily requirement for adults and children 4 years and older. Iron can be depleted through daily metabolic functions‚ blood loss‚ and digestion. 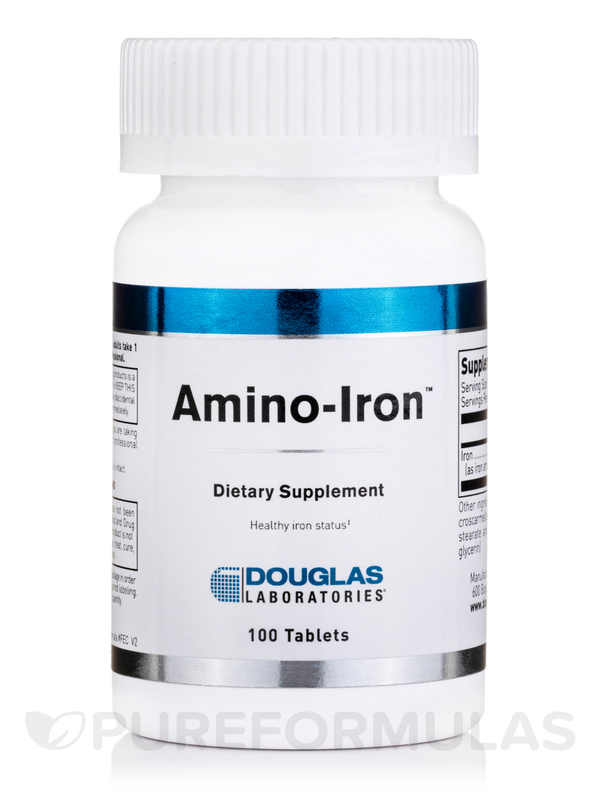 Along with a healthy diet‚ Amino-Iron tablets by Douglas Labs may help keep iron levels healthy throughout your day. PureFormulas is committed to offering you this quality Douglas Labs product with fast and free shipping when you place your order by 5 PM EST. Keep a healthy watch on your iron levels. Order today! 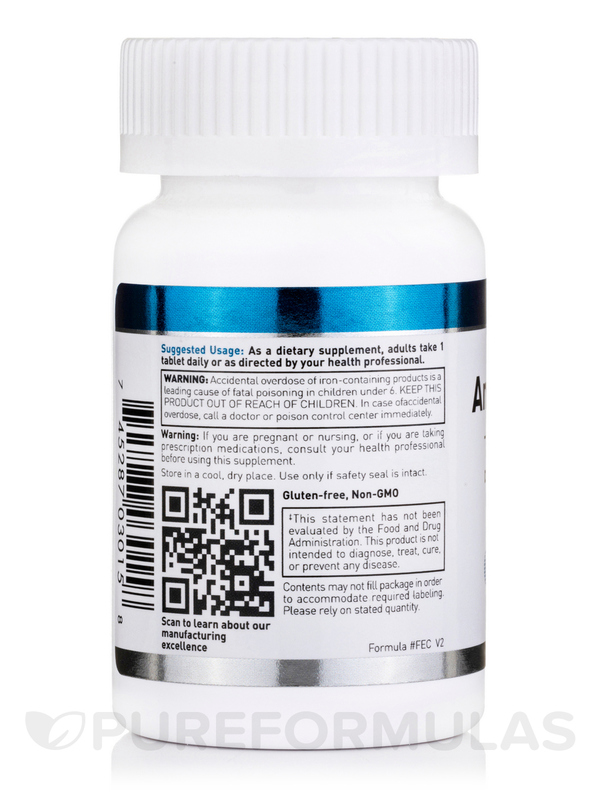 As a dietary supplement‚ adults take 1 tablet daily‚ or as directed by your healthcare professional. 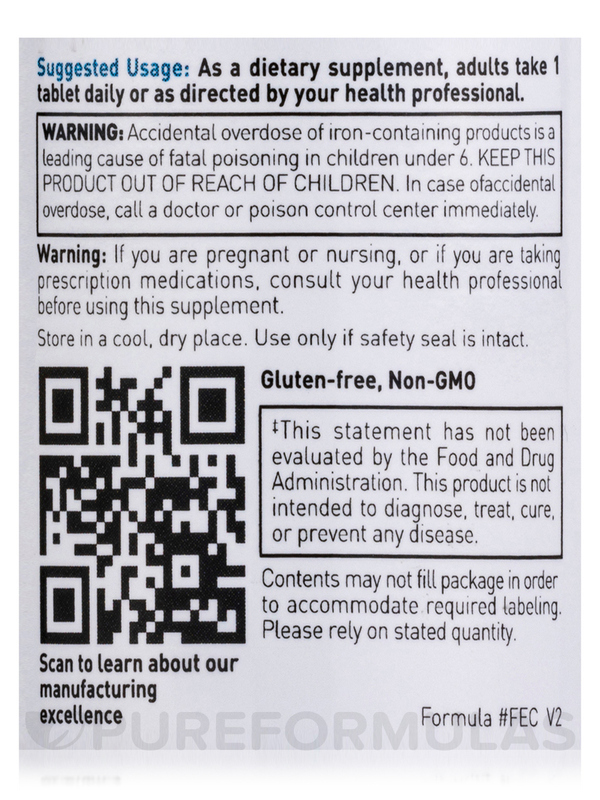 Accidental overdose of iron-containing products is a leading cause of fatal poisoning in children under the age of 6. Keep this product out of the reach of children. In case of accidental overdose‚ call a doctor or poison control center immediately. Uh oh! Iron is low! My chiropractor/nutritionist recommended Amino-Iron by Douglas Laboratories for me several years ago, as I tend to run low in iron. I hadn't been taking it for awhile, but a blood test showed me at the bottom of the normal range, so I have started taking it again. I like the small tablet size, and the fact that it doesn't cause constipation . I have taken Amino-Iron by Douglas Laboratories for over 4 years. I find that it is the best iron for me because it is slowly released into my system. There has been a huge change in my energy level since using this product. I like that I am less tired when using this product. I have the energy to accomplish tasks throughout the day. Amino Iron by Douglas Laboratories is a great iron supplement. Does not give you heart burn or upset stomach like most iron supplements. No Gi upset while taking this. Amino Iron by Douglas Laboratories was recommended by my doctor as one the body is easily able to process. It has been challenging to find it. I am delighted to now have PureFormulas as my go to source! 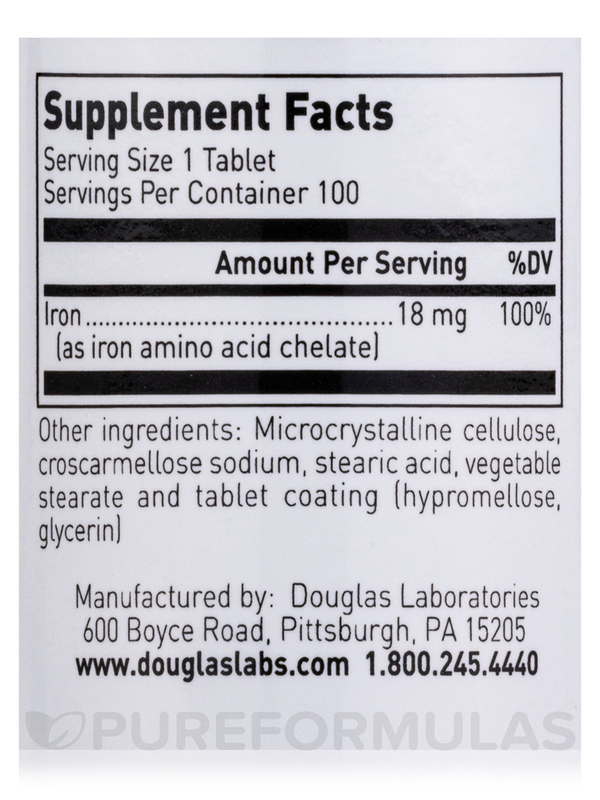 I like that it is chelated, making it more available to the body, and that it provides 100% of the daily iron need. 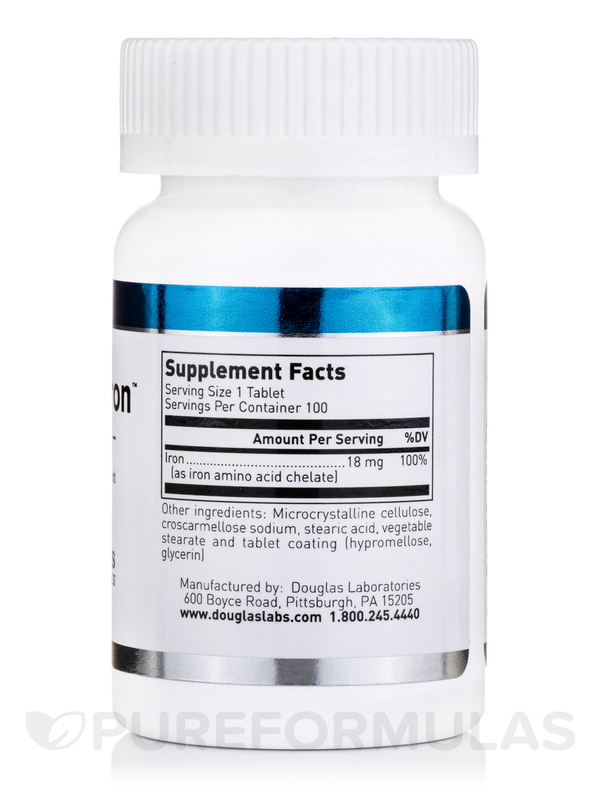 I don't like magnesium stearate as the filler, but unfortunately, most supplements have it. Amino-Iron by Douglas Laboratories is a wonderful product. Anything from Douglas Laboratories is well worth the money. Amino-Iron has made a big improvement on my life. And PureFormulas sells it cheaper than other places I have checked...plus free shipping! Can't go wrong here!